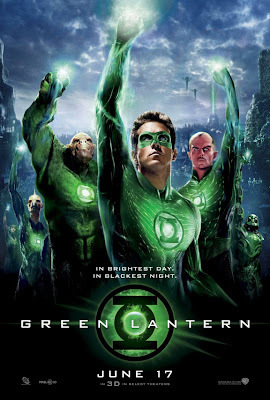 The feature trailer for the Martin Campbell-directed action adventure 'Green Lantern' starring Ryan Reynolds, Blake Lively, Peter Sarsgaard, Mark Strong, Angela Bassett, Tim Robbins, Temuera Morrison, Jay O. Sanders, Taika Waititi, Jon Tenney, Geoffrey Rush and Michael Clarke Duncan. But when a new enemy called Parallax threatens to destroy the balance of power in the Universe, their fate and the fate of Earth lie in the hands of their newest recruit, the first human ever selected: Hal Jordan (Ryan Reynolds). Hal is a gifted and cocky test pilot, but the Green Lanterns have little respect for humans, who have never harnessed the infinite powers of the ring before. But Hal is clearly the missing piece to the puzzle, and along with his determination and willpower, he has one thing no member of the Corps has ever had: humanity. 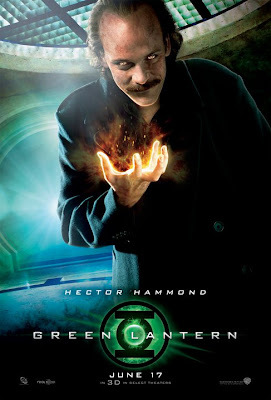 With the encouragement of fellow pilot and childhood sweetheart Carol Ferris (Blake Lively), if Hal can quickly master his new powers and find the courage to overcome his fears, he may prove to be not only the key to defeating Parallax...he will become the greatest Green Lantern of all. 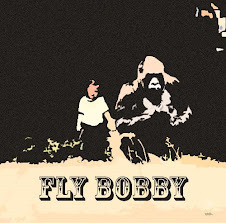 It gets released June 17. Update: New TV spot and Hector Hammond poster.